The U.S. Department of State has appointed Constance M. Dierman to serve as the next U.S. Consul General to Bermuda. Mrs. Dierman, a senior career diplomat, is currently serving as Deputy Assistant Secretary in the Bureau of Human Resources at the Department of State where she manages global human resource services, the administration of the Foreign Service retirement system, and employment policies for more than 56,000 locally employed staff at U.S. missions overseas. Mrs. Dierman has served overseas in Kabul, Baghdad, Bridgetown, Canberra and Geneva. Her Washington, D.C., assignments have included tours in the Bureaus of Human Resources, Near Eastern Affairs, South and Central Asian Affairs, European and Eurasian Affairs, Overseas Buildings Operations, Protocol and the Office of the Secretary. Born and raised in Cleveland, Ohio, Mrs. Dierman resides in Delaware with her husband, Roger Dierman. Together they have five adult children. “I am honored to have been selected to serve as the next U.S. Consul General to Bermuda, as the United States and Bermuda share an important common history and deep ties” says Mrs. Dierman. 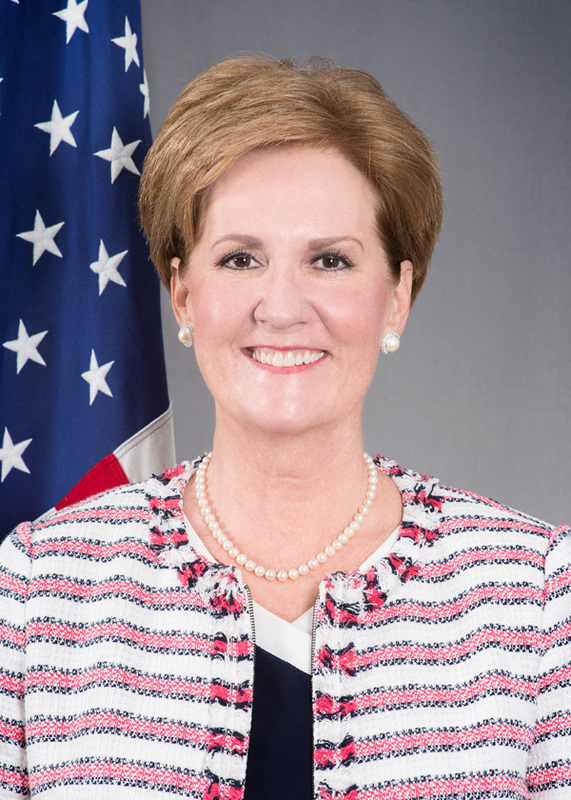 Mrs. Dierman is expected to arrive to Bermuda in mid-June following the departure of Consul General Mary Ellen Koenig on April 30. So…..the philosophy and interventions remain the same. Looks like she has the right exoerience for the position and her HR experience should be an asset in an equitable relationship between Bermuda and US. Welcome to Bermuda . Call for fishcakes .Enjoy your stay with us .